Because weekends at the Chapmans always start with a big homemade breakfast! Our breakfast usually consist of farm fresh eggs, homemade waffles & of course bacon! I always make my waffles & pancakes from scratch. Mainly because they taste 10x better & also because anything that’s not from a box is usually a lot better for you! I use to buy our kids eggo waffles. You know those huge 72 pack boxes at Costco. Ya… that was what our kids ate for a long time. Until I realized they were eating 4-7 waffles at a time and still felt hungry! The more I thought about it the more I realized our kids were filling themselves with empty calories. *Empty calories are foods that are high in calories low in nutrients. So your body still thinks it’s hungry even when you’ve over eaten because your body is still craving the nutrients. Ever wonder how you could eat an entire bag of chips and still feel hungry. But if you eat an apple odds are you won’t go back for another one? That’s because your body was eating real nutrients! Nutrients that tell your brain you got the food and your good! 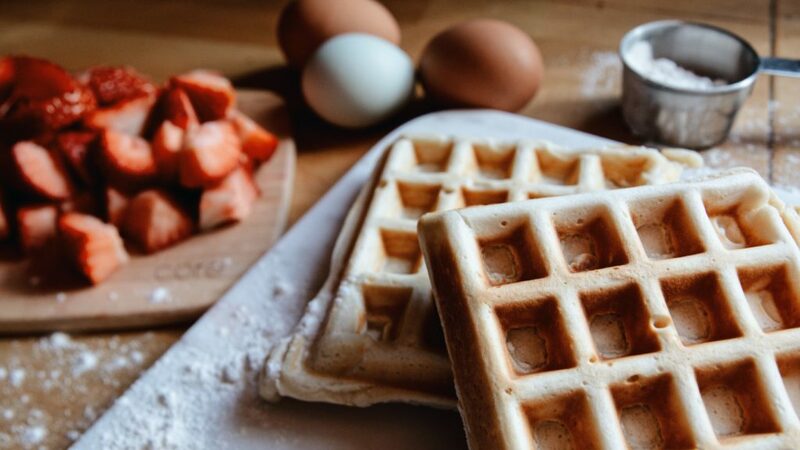 Processed foods like chips and frozen waffles are high in calories and have little to no nutrients. So you’re basically eating thin air and packing on a lot of calories doing it! After our kids were eating us out of house and home. I realized something needed to change. Like I said, every weekend I make homemade waffles. Well I soon started to notice how the kids would have 1 maybe 2 of my homemade waffles and be completely full. How could they eat 4-7 eggo waffles and only 1-2 homemade waffles?? 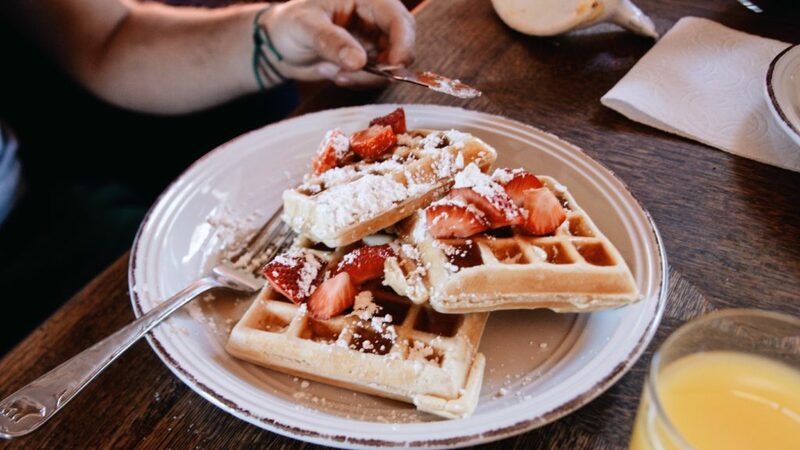 The homemade waffles were actually fueling their bodies and giving them the nutrients and energy they needed so it kept them fuller faster and longer!! They also loved the taste of my homemade waffles better! Soooooo I decided we needed to make a change! On the weekends I ended up doubling and even tripling the recipe so we would have left overs. Then you freeze the left overs, kids pop them in the toaster like they would eggo waffles and taaaaa-daaaa! 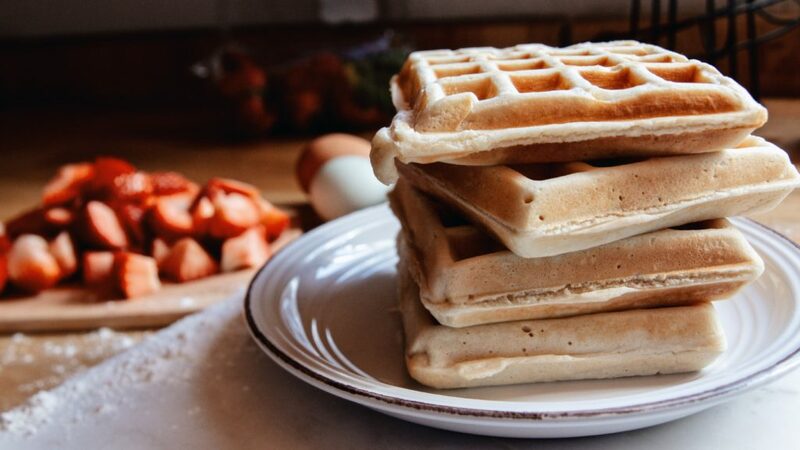 You have homemade waffles that are healthy, filling, easy & a huge money saver!! You can even do the same thing with pancakes! Put them in the oven or on the griddle to warm up and you have pancakes! You could also warm them up in the microwave. But you guys, you have to try making your breakfast like this! It could literally change everything! 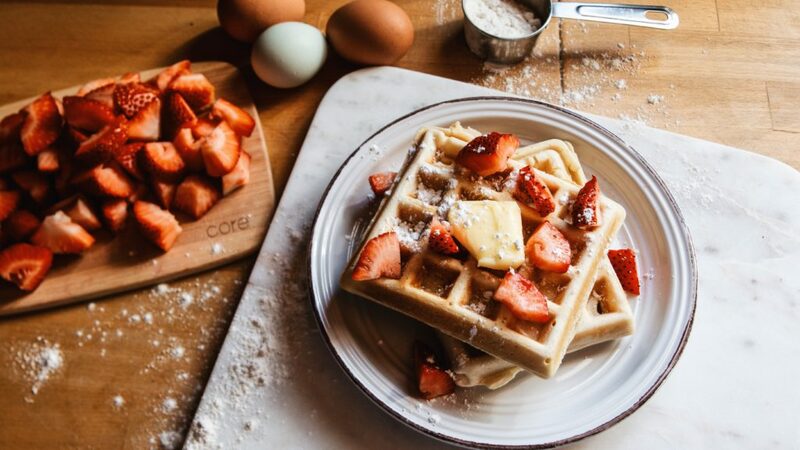 I’m going to share my waffle recipe below. Note: you can use white flour or whole wheat flour for these! Whole wheat flour is much better for you! But kids tend to like white flour better. What I do is mix half and half! That way it still tastes good to your kids but you’re making a recipe a little healthier! *remember to double or triple the recipe if you want left overs! With a whisk, mix all ingredients together in a large bowl. 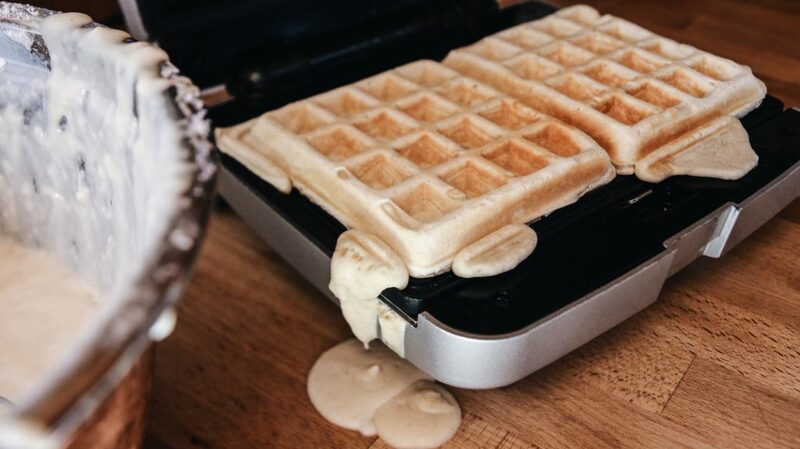 Grease waffle iron with coconut oil. 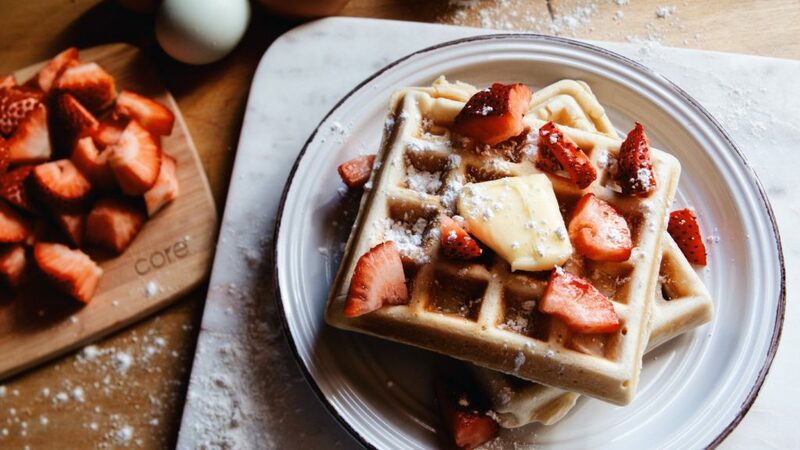 Once waffle iron is hot and ready to go, pour 1 cup batter onto the waffle iron and let cook! Serve with syrup, berries, bananas, whip cream and whatever other toppings you like!! 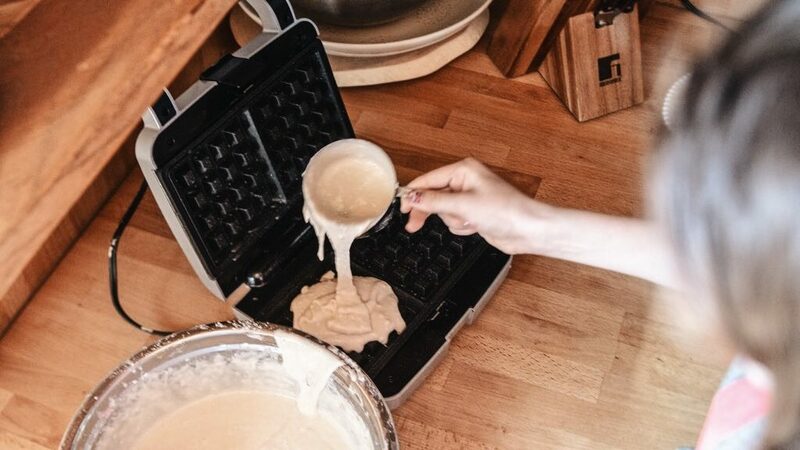 Make sure waffles have cooled completely. 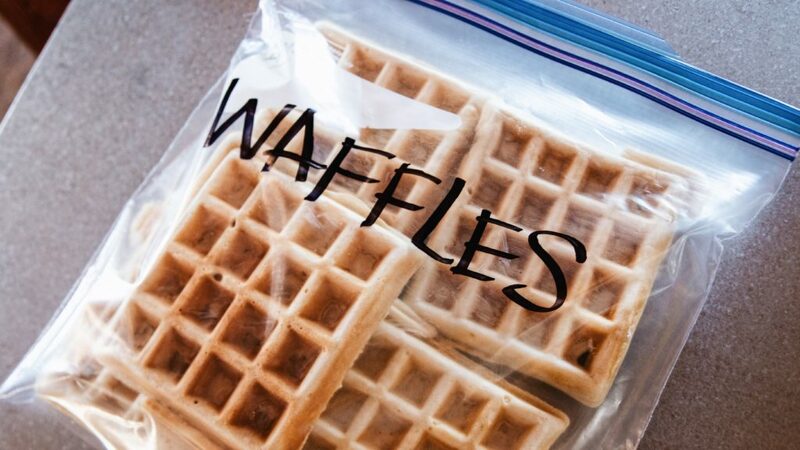 Place stack of waffles into a freezer friendly ziplock bag. Place ziplock bag in the freezer! No thawing, no mess no empty calories, no worries!! Just a simple way to make your life a little bit easier and your kids life a little less hungry!